Cooperation in the work of the Gospel has always seen men and women engaged together in a common effort, in fidelity to the Lord (Philippians 4,2). Damiano Marzotto's study of the Synoptic Gospels, the fourth Gospel and the Acts of the Apostles illustrates the collaboration of men and women in the initial evangelization of the primitive Church. Today, as in the beginning, the action of the Church takes place in two voices: human activity is accompanied by a feminine counterpoint of interiorization of the original fervour which anticipates a progressive opening to the Word of God, without which the impetus of Christ's Gospel is weakened. 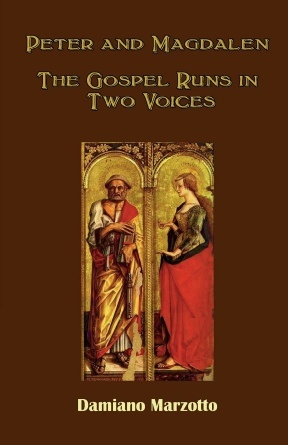 At a time of increasing focus on these issues, Damiano Marzotto brings the fruits of a lifetime of biblical scholarship to analyse how the Gospels and the Acts of the Apostles present the mutually complementary roles of men and women in the work of salvation. In an interview in Corriere della Sera with Ferruccio de Bortoli (5 March 2014) the Holy Father Pope Francis said he was reading this text, commenting that it is 'a beautiful book'.